My sister got married in Cabo San Lucas, Mexico, on December 21st. The weather was perfect — sunny, warm and bright. Like all Asian women, as soon as I arrived, I started lathering on the sunscreen to my face. The problem was that the tube that I brought with me was almost empty! 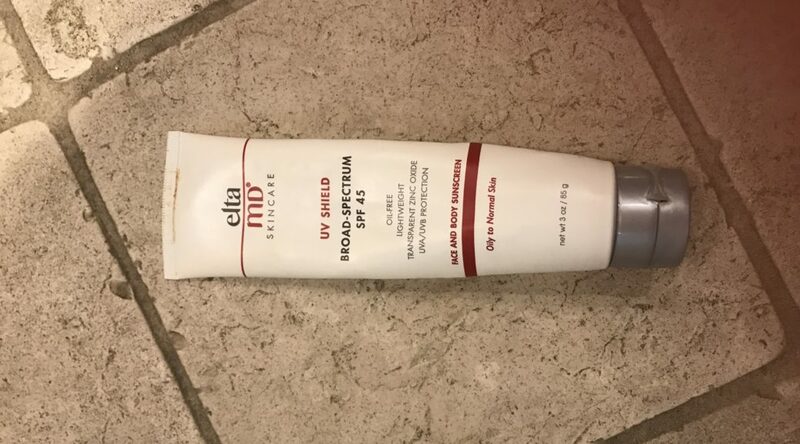 I panicked because the particular brand that I like is usually only sold at Dermatologists’ offices (Elta MD UB Shield Broad-Spectrum SPF 45). I went to the hotel shop to try to find something similar, but they only had the typical coconut scented sunscreens with maximum of SPF 15. What the heck!? SPF 15 does nothing — I might as well just apply baby oil to my face. So what did I do? I rationed the amount of sunscreen that I had left and then topped it off with the coconut SPF 15 followed by a huge hat and enormous black sunglasses. I looked ridiculous. While I was there, I also tried to just stay in the shade. That was almost impossible to do in Cabo, so I decided to just spend half the day in the spa. It was awesome — steam room, then sauna, followed by 90 min facial or body massage, afterwards they would provide me with fresh juice by the hot tub and then I would read a magazine in their comfortable spa beds. I felt like a well rested, very pampered and sparkling clean vampire coming out only when the sun went down. But my husband was annoyed because I booked a spa treatment everyday that I was there, so I would just hang out at the spa and miss out on hanging out by the pool (HELLO? THAT is exactly what I was trying to do. Nothing wrong with that in my view). I told my husband that I had no choice since it was either that or stay in the hotel room until sunset. He said, he preferred the cheaper option of my staying in the room or just go to the spa and use steam room without having any treatment! What!? Go to spa and just use the sauna without any treatment? That is like going to airport but don’t fly anywhere (hmm … maybe not such a great analogy). Anyway, I’m sure you girls get my point. So, why do I like EltaMD so much? According to the product details, it features micronized zinc oxide, so it delivers optimal protection against harmful UVA and UVB rays to keep skin healthy and radiant. All I can say is that this stuff works. It is also lightweight in texture so you can wear it under your makeup. It isn’t oily and feels good on your skin. When Did We Become a “Madame”?